The Sighthound Underground | Changing the world . . . for one dog at a time. Everything you ever wanted to know . . .
How much is that Galgo in the window? 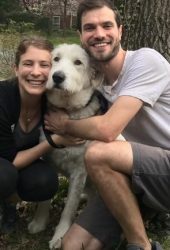 Help us get this little guy healthy! 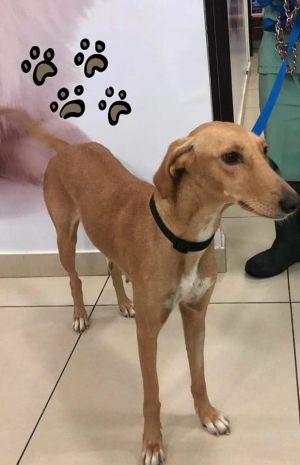 Nilla is a 3 year old Saluki cross (likely with a labrador) from Bahrain. Sheâs a wiggle worm and a grinner!! She likes nothing better than to curl up on the couch with her human!! Nilla would be best in a home as the only dog. 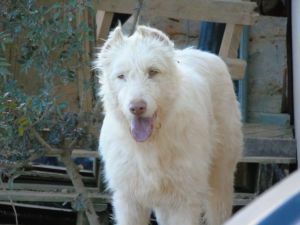 Nilla's adoption fee is $650, which covers their flight to the US, paperwork, air crate, neuter and other veterinary care. 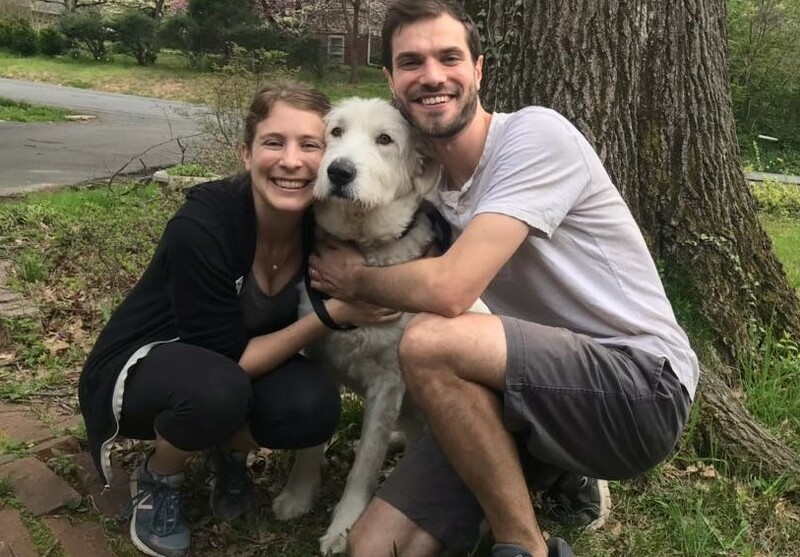 While we prefer that adopters pick up their dogs from their foster homes, we adopt to families across the US and Canada. If you need assistance transporting your dog home, we will help make the arrangements but you will be responsible for the actual costs, which are usually $300-600. If you're interested in adding this dog to your pack, the first step is to fill out an application at http://sighthoundunderground.com. NOTE: Please do not click the ADOPT ME button on this page. If you are interested in adopting a dog from SHUG you must go to our website and fill out our application at http://sighthoundunderground.com. We will not reply to your email until you have taken the time to fill out our application. We apologize for the inconvenience but we are an all volunteer organization with limited resources. This is the best way we have found to make the best use of our time. There are a lot of people who just want to ask questions but will never adopt and unfortunately we just don't have time to chat. Nelson is a 2? 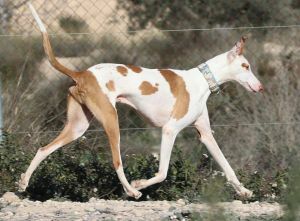 year old Spanish Greyhound (galgo espanol) from Spain. Nelson's adoption fee is $650, which covers their flight to the US, paperwork, air crate, neuter and other veterinary care. While we prefer that adopters pick up their dogs from their foster homes, we adopt to families across the US and Canada. If you need assistance transporting your dog home, we will help make the arrangements but you will be responsible for the actual costs, which are usually $300-600. If you're interested in adding this dog to your pack, the first step is to fill out an application at http://sighthoundunderground.com. NOTE: Please do not click the ADOPT ME button on this page. If you are interested in adopting a dog from SHUG you must go to our website and fill out our application at http://sighthoundunderground.com. We will not reply to your email until you have taken the time to fill out our application. We apologize for the inconvenience but we are an all volunteer organization with limited resources. This is the best way we have found to make the best use of our time. There are a lot of people who just want to ask questions but will never adopt and unfortunately we just don't have time to chat. Toby is a 2? year old male Borzoi. Toby's adoption fee is $650, which covers their flight to the US, paperwork, air crate, neuter and other veterinary care. While we prefer that adopters pick up their dogs from their foster homes, we adopt to families across the US and Canada. If you need assistance transporting your dog home, we will help make the arrangements but you will be responsible for the actual costs, which are usually $300-600. If you're interested in adding this dog to your pack, the first step is to fill out an application at http://sighthoundunderground.com. NOTE: Please do not click the ADOPT ME button on this page. If you are interested in adopting a dog from SHUG you must go to our website and fill out our application at http://sighthoundunderground.com. We will not reply to your email until you have taken the time to fill out our application. We apologize for the inconvenience but we are an all volunteer organization with limited resources. This is the best way we have found to make the best use of our time. There are a lot of people who just want to ask questions but will never adopt and unfortunately we just don't have time to chat. Valiente is a 2? 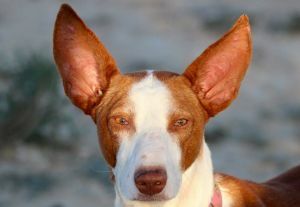 year old podenco canario from Spain. Valiente's adoption fee is $650, which covers their flight to the US, paperwork, air crate, neuter and other veterinary care. While we prefer that adopters pick up their dogs from their foster homes, we adopt to families across the US and Canada. If you need assistance transporting your dog home, we will help make the arrangements but you will be responsible for the actual costs, which are usually $300-600. If you're interested in adding this dog to your pack, the first step is to fill out an application at http://sighthoundunderground.com. NOTE: Please do not click the ADOPT ME button on this page. If you are interested in adopting a dog from SHUG you must go to our website and fill out our application at http://sighthoundunderground.com. We will not reply to your email until you have taken the time to fill out our application. We apologize for the inconvenience but we are an all volunteer organization with limited resources. This is the best way we have found to make the best use of our time. There are a lot of people who just want to ask questions but will never adopt and unfortunately we just don't have time to chat. 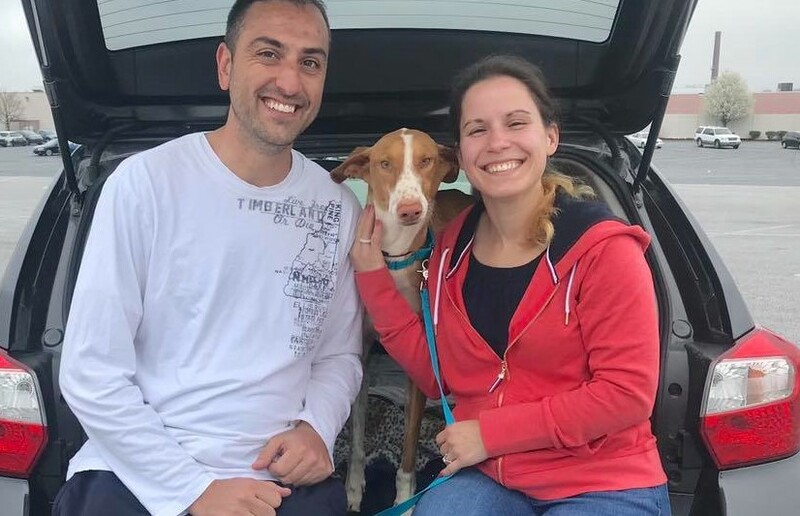 Alvin is a 2 year old podenco campanero (Ibizan Hound) from Spain. Alvin is a large podenco at about 70cm at the shoulders and is obviously a wire haired fella. He is very friendly with other dogs. Alvin's adoption fee is $650, which covers their flight to the US, paperwork, air crate, neuter and other veterinary care. While we prefer that adopters pick up their dogs from their foster homes, we adopt to families across the US and Canada. If you need assistance transporting your dog home, we will help make the arrangements but you will be responsible for the actual costs, which are usually $300-600. If you're interested in adding this dog to your pack, the first step is to fill out an application at http://sighthoundunderground.com. NOTE: Please do not click the ADOPT ME button on this page. If you are interested in adopting a dog from SHUG you must go to our website and fill out our application at http://sighthoundunderground.com. We will not reply to your email until you have taken the time to fill out our application. We apologize for the inconvenience but we are an all volunteer organization with limited resources. This is the best way we have found to make the best use of our time. There are a lot of people who just want to ask questions but will never adopt and unfortunately we just don't have time to chat. Jamal is a ~1 year old Saluki from the middle east. 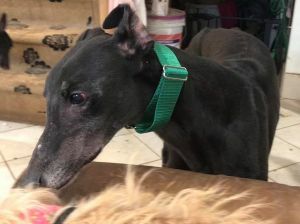 Jamal's adoption fee is $650, which covers their flight to the US, paperwork, air crate, neuter and other veterinary care. While we prefer that adopters pick up their dogs from their foster homes, we adopt to families across the US and Canada. If you need assistance transporting your dog home, we will help make the arrangements but you will be responsible for the actual costs, which are usually $300-600. If you're interested in adding this dog to your pack, the first step is to fill out an application at http://sighthoundunderground.com. NOTE: Please do not click the ADOPT ME button on this page. If you are interested in adopting a dog from SHUG you must go to our website and fill out our application at http://sighthoundunderground.com. We will not reply to your email until you have taken the time to fill out our application. We apologize for the inconvenience but we are an all volunteer organization with limited resources. This is the best way we have found to make the best use of our time. There are a lot of people who just want to ask questions but will never adopt and unfortunately we just don't have time to chat. 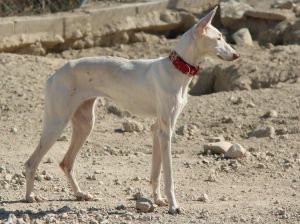 Atif is a lovely but shy ~1 year old Saluki boy from the middle east. Atif's adoption fee is $650, which covers their flight to the US, paperwork, air crate, neuter and other veterinary care. While we prefer that adopters pick up their dogs from their foster homes, we adopt to families across the US and Canada. If you need assistance transporting your dog home, we will help make the arrangements but you will be responsible for the actual costs, which are usually $300-600. If you're interested in adding this dog to your pack, the first step is to fill out an application at http://sighthoundunderground.com. NOTE: Please do not click the ADOPT ME button on this page. If you are interested in adopting a dog from SHUG you must go to our website and fill out our application at http://sighthoundunderground.com. We will not reply to your email until you have taken the time to fill out our application. We apologize for the inconvenience but we are an all volunteer organization with limited resources. This is the best way we have found to make the best use of our time. There are a lot of people who just want to ask questions but will never adopt and unfortunately we just don't have time to chat. Honey is a sweet, loving, ~1.5 year old Saluki from the middle east. Honey's adoption fee is $650, which covers their flight to the US, paperwork, air crate, neuter and other veterinary care. While we prefer that adopters pick up their dogs from their foster homes, we adopt to families across the US and Canada. If you need assistance transporting your dog home, we will help make the arrangements but you will be responsible for the actual costs, which are usually $300-600. If you're interested in adding this dog to your pack, the first step is to fill out an application at http://sighthoundunderground.com. NOTE: Please do not click the ADOPT ME button on this page. If you are interested in adopting a dog from SHUG you must go to our website and fill out our application at http://sighthoundunderground.com. We will not reply to your email until you have taken the time to fill out our application. We apologize for the inconvenience but we are an all volunteer organization with limited resources. This is the best way we have found to make the best use of our time. There are a lot of people who just want to ask questions but will never adopt and unfortunately we just don't have time to chat. 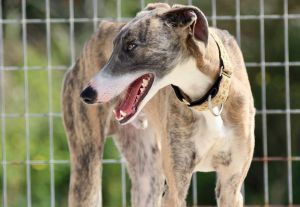 Frederico is a 2 year old Galgo (Spanish Greyhound) from Spain. Frederico's adoption fee is $650, which covers their flight to the US, paperwork, air crate, neuter and other veterinary care. Frederico is currently being fostered in New York. While we prefer that adopters pick up their dogs from their foster homes, we adopt to families across the US and Canada. If you need assistance transporting your dog home, we will help make the arrangements but you will be responsible for the actual costs, which are usually $300-600. If you're interested in adding this dog to your pack, the first step is to fill out an application at http://sighthoundunderground.com. NOTE: Please do not click the ADOPT ME button on this page. If you are interested in adopting a dog from SHUG you must go to our website and fill out our application at http://sighthoundunderground.com. We will not reply to your email until you have taken the time to fill out our application. We apologize for the inconvenience but we are an all volunteer organization with limited resources. This is the best way we have found to make the best use of our time. There are a lot of people who just want to ask questions but will never adopt and unfortunately we just don't have time to chat. 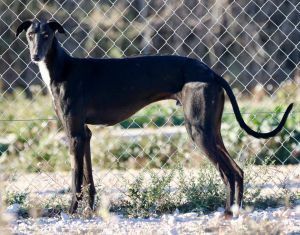 Ruben is a 1 year old wire haired Galgo (Spanish Greyhound) from Spain. Ruben's adoption fee is $650, which covers their flight to the US, paperwork, air crate, neuter and other veterinary care. Ruben is currently being fostered in Indiana. While we prefer that adopters pick up their dogs from their foster homes, we adopt to families across the US and Canada. If you need assistance transporting your dog home, we will help make the arrangements but you will be responsible for the actual costs, which are usually $300-600. If you're interested in adding this dog to your pack, the first step is to fill out an application at http://sighthoundunderground.com. NOTE: Please do not click the ADOPT ME button on this page. If you are interested in adopting a dog from SHUG you must go to our website and fill out our application at http://sighthoundunderground.com. We will not reply to your email until you have taken the time to fill out our application. We apologize for the inconvenience but we are an all volunteer organization with limited resources. This is the best way we have found to make the best use of our time. There are a lot of people who just want to ask questions but will never adopt and unfortunately we just don't have time to chat. 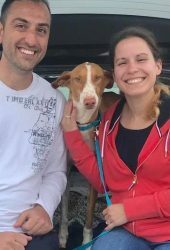 Santana is a 2 year old Podenco Ibicenco from Spain. Santana's adoption fee is $650, which covers their flight to the US, paperwork, air crate, neuter and other veterinary care. 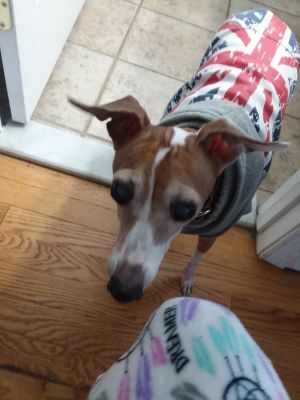 Santana is currently being fostered in Michigan. While we prefer that adopters pick up their dogs from their foster homes, we adopt to families across the US and Canada. If you need assistance transporting your dog home, we will help make the arrangements but you will be responsible for the actual costs, which are usually $300-600. If you're interested in adding this dog to your pack, the first step is to fill out an application at http://sighthoundunderground.com. NOTE: Please do not click the ADOPT ME button on this page. If you are interested in adopting a dog from SHUG you must go to our website and fill out our application at http://sighthoundunderground.com. We will not reply to your email until you have taken the time to fill out our application. We apologize for the inconvenience but we are an all volunteer organization with limited resources. This is the best way we have found to make the best use of our time. There are a lot of people who just want to ask questions but will never adopt and unfortunately we just don't have time to chat. 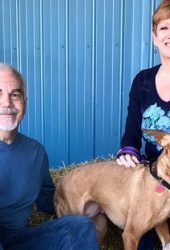 Cora is a 4 year old Podeno Canario from Spain. Cora's adoption fee is $650, which covers their flight to the US, paperwork, air crate, neuter and other veterinary care. While we prefer that adopters pick up their dogs from their foster homes, we adopt to families across the US and Canada. If you need assistance transporting your dog home, we will help make the arrangements but you will be responsible for the actual costs, which are usually $300-600. If you're interested in adding this dog to your pack, the first step is to fill out an application at http://sighthoundunderground.com. NOTE: Please do not click the ADOPT ME button on this page. If you are interested in adopting a dog from SHUG you must go to our website and fill out our application at http://sighthoundunderground.com. We will not reply to your email until you have taken the time to fill out our application. We apologize for the inconvenience but we are an all volunteer organization with limited resources. This is the best way we have found to make the best use of our time. There are a lot of people who just want to ask questions but will never adopt and unfortunately we just don't have time to chat. Cara is a senior IG who lost her home through no fault of her own. She doesn't see very well but can still get around just fine. She will be 14 years old next month and weighs about 14 lbs. Cara's adoption fee is $300, which covers her vaccinations, spay, and other veterinary care. 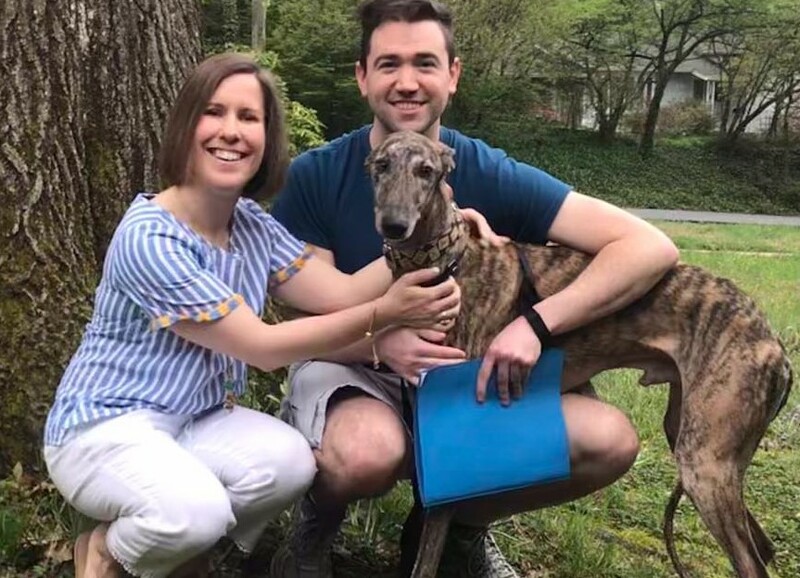 While we prefer that adopters pick up their dogs from their foster homes, we adopt to families across the US and Canada. If you need assistance transporting your dog home, we will help make the arrangements but you will be responsible for the actual costs, which are usually $300-600. If you're interested in adding this dog to your pack, the first step is to fill out an application at http://sighthoundunderground.com. NOTE: Please do not click the ADOPT ME button on this page. If you are interested in adopting a dog from SHUG you must go to our website and fill out our application at http://sighthoundunderground.com. We will not reply to your email until you have taken the time to fill out our application. We apologize for the inconvenience but we are an all volunteer organization with limited resources. This is the best way we have found to make the best use of our time. There are a lot of people who just want to ask questions but will never adopt and unfortunately we just don't have time to chat. 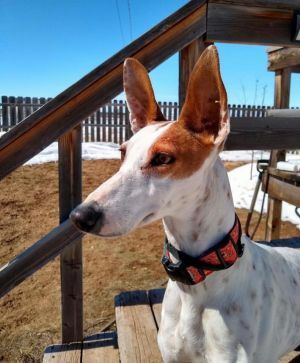 Dolly is a sweet,gentle little Podenco from Spain who will steal your heart! She loves people and is a real cuddle monster. She is bouncy and friendly and ready for her forever home! 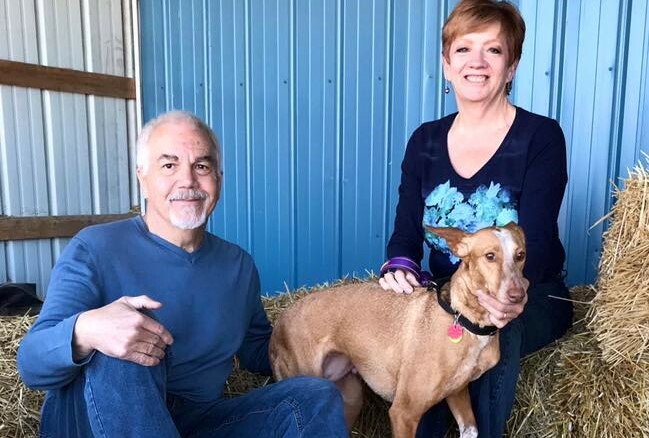 Dolly is currently fostered in southeastern Wyoming, but is available for adoption throughout the US and Canada. Her adoption fee is $650. If you are interested in adding this gentle beauty to your pack, the first step is to fill out an application at http://sighthoundunderground.com. NOTE: Please do not send click the "Adopt Me" button on this page. If you are interested in adopting a dog from SHUG you must go to our website and fill out our application at http://sighthoundunderground.com. We will not reply to your email until you have taken the time to fill out our application. We apologize for the inconvenience but we are an all volunteer organization with limited resources. This is the best way we have found to weed out the "window shoppers". There are a lot of people who just want to ask questions but will never adopt and unfortunately we just don't have time to chat. 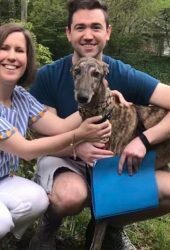 Lucky is an Australian Greyhound who raced in China. Heâs a lovely older guy who will be 8 next month. Lucky likes people and medium or larger size dogs. Since Luckyâs flight was sponsored, his adoption fee is only $300. Please help us find this sweet gentleman the home he deserves. Lucky is fostered in the Washington DC area, but is available for adoption throughout the US and Canada. If you're interested in adding this sweet boy to you pack, the first step is to fill out an application at http://sighthoundunderground.com. NOTE: Please do not click the "Adopt Me" button on this page. If you are interested in adopting a dog from SHUG you must go to our website and fill out our application at http://sighthoundunderground.com. We will not reply to your email until you have taken the time to fill out our application. We apologize for the inconvenience but we are an all volunteer organization with limited resources. This is the best way we have found to weed out the "window shoppers". There are a lot of people who just want to ask questions but will never adopt and unfortunately we just don't have time to chat. 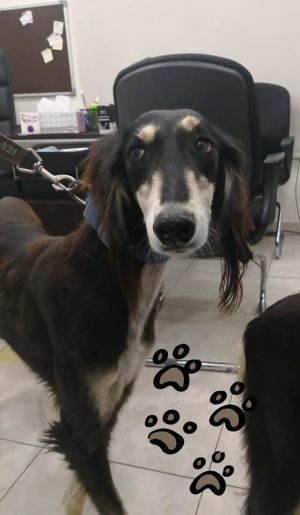 Maia is a lovely two-year-old Saluki cross from Qatar. She is a high-energy girl (you will need a six-foot fence. No, we are not joking.) who loves people. This exotic beauty gets along with children and other dogs. Cats, sadly, apparently taste like chicken. Maia is currently fostered in Yorktown, VA area, but is available for adoption throughout the US and Canada. Her adoption fee is $650, which covers her travel expenses to SHUG, spaying and other veterinary care. If you're interested in adding this lovely beauty to your pack, the first step is to fill out an application at http://sighthoundunderground.com. NOTE: Please do not click the "Adopt Me" button on this page. If you are interested in adopting a dog from SHUG you must go to our website and fill out our application at http://sighthoundunderground.com. We will not reply to your email until you have taken the time to fill out our application. We apologize for the inconvenience but we are an all volunteer organization with limited resources. This is the best way we have found to weed out the "window shoppers". There are a lot of people who just want to ask questions but will never adopt and unfortunately we just don't have time to chat. 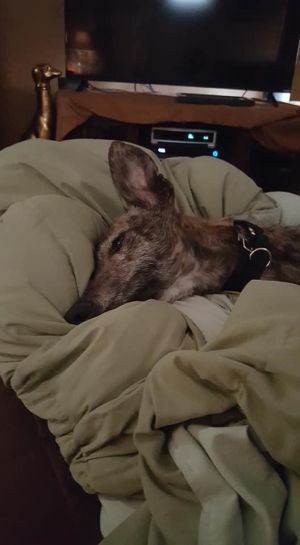 Luna is a sweet, shy Podenco rescued from Spain. Luna is fostered in New York, and is available for adoption throughout the US and Canada. Her adoption fee is $650, which covers her travel expenses to SHUG, spaying and other veterinary care. If you're interested in adding this beautiful girl to your pack, the first step is to fill out an application at http://sighthoundunderground.com. NOTE: Please do not click the ADOPT ME button on this page. If you are interested in adopting a dog from SHUG you must go to our website and fill out our application at http://sighthoundunderground.com. We will not reply to your email until you have taken the time to fill out our application. We apologize for the inconvenience but we are an all volunteer organization with limited resources. This is the best way we have found to make the best use of our time. There are a lot of people who just want to ask questions but will never adopt and unfortunately we just don't have time to chat. Want to Adopt, Foster, or Volunteer? Start here!